For those who keep track of such things, today marks the 9th anniversary of the halt of construction of Elk Grove's now infamous shopping center affectionately known as the Ghost Mall. According to our observations, and information reported in a number of Sacramento area media outlet at the time, it was nine years ago around this day that major construction came to an abrupt halt. The project, originally call the Lent Ranch Mall, was rechristened as the Elk Grove Promenade by its then developer, Chicago-based General Growth Properties. Not coincidentally, the construction came to a halt on the precipice of the worldwide credit crisis and the Great Recession. Aside from the stop of construction and eventual bankruptcy of GGP, Elk Grove homeowners suffered mightily from a wave of foreclosures whose effects still linger in neighborhoods. Through the years promise after promise has been made by the shopping center's current owner, the Howard Hughes Company, and city leaders. 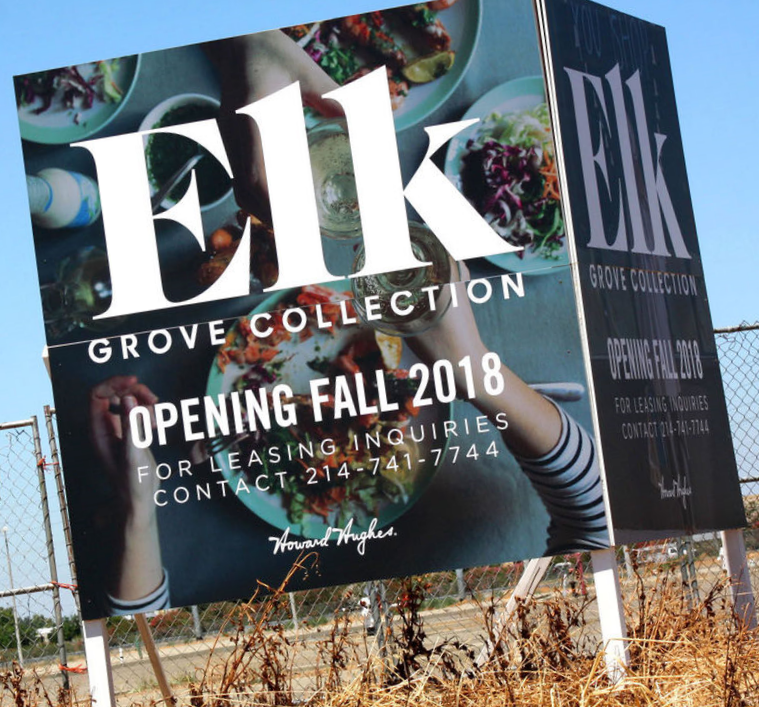 The most recent promise came from Elk Grove Mayor Steve Ly, who, according to the Elk Grove Citizen, promised the highly touted high-end retailer outlet shopping center will be open by the fall of 2018. Of course Ly, who acknowledged he has never met or had phone calls returned from HHC since he assumed the mayoral office last December, said it was based on a recently sign planted on the site saying it will open next year. Interestingly, that sign replaced a sign installed about a year ago saying the mall will be open by this year, 2017. Naturally the community's excitement of the resumption of construction is tied not only to Ly's confidence-building statements, but more directly to the proposed $400 million casino resort being built by the Wilton Rancheria and their financial backer, Las Vegas-based Boyd Gaming. Even if the facility gets built, Tribal Chairman Raymond Hitchcock concedes the best case scenario is three to five years from today before the operation opens. We cannot help but wonder if given the current state of flux for the casino as it works through federal bureaucracy and ongoing litigation will dampen interest from potential retailers? After all, what high-end international retailer wants to set up shop next year only to have business traffic, foot and car, affected by the coming massive construction project going on directly adjacent to their shops? Perhaps Elk Grove's Economic Development Director Darrell Doan and his hired guns from Birmingham, Ala., Retail Strategies, will land some of those elusive high end retailers who has deferred signing leases at the Outlet Collection at Elk Grove. That $50,000 being paid to Retail Strategies ought to shake some leases loose, right? A year from now, year 10 if we reach that, we will see if Ly's proclamation was correct or just more meaningless dribble.